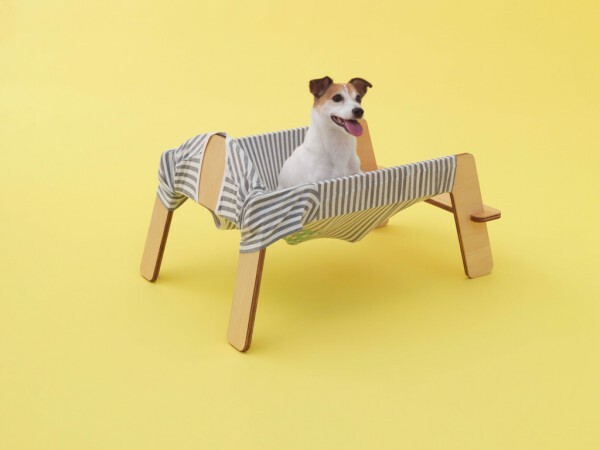 The Jack Russell Terrier, once a hunter dog, has been bred to adopt a gentle nature. 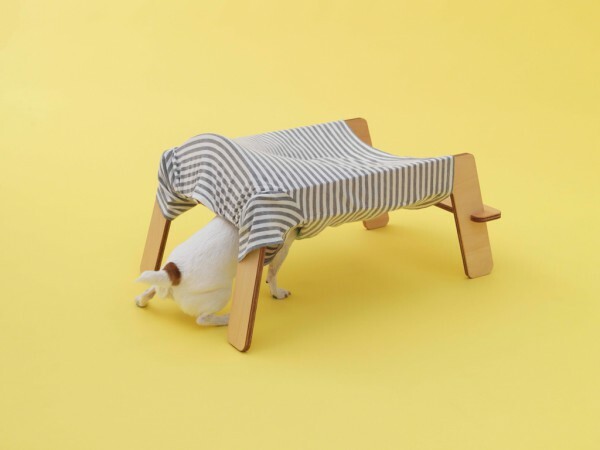 Looking more closely at this dog, which partners well with humans, we found its favourite place in its owner's clothes. 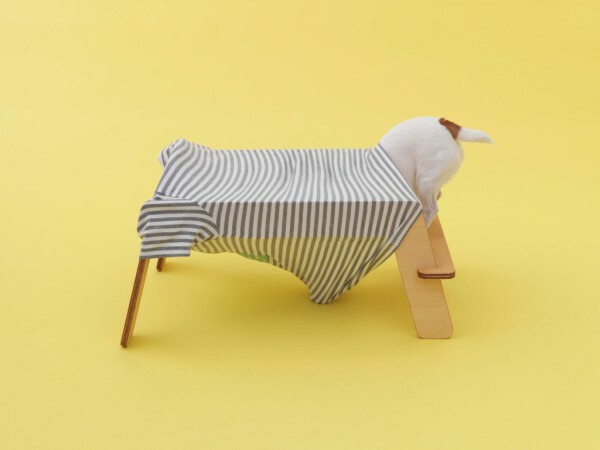 The smell of its owner, and the touch of fabric makes the dog feel at ease. 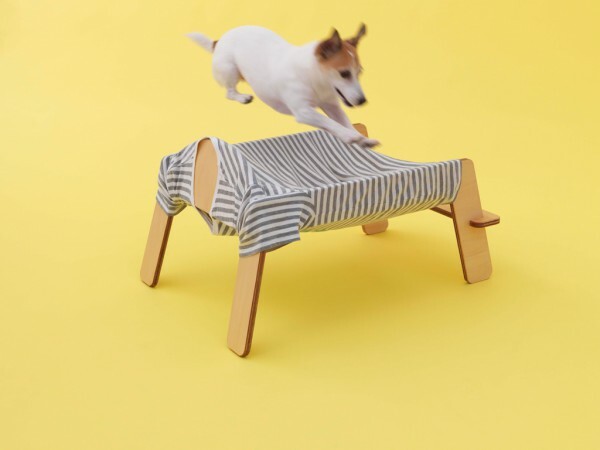 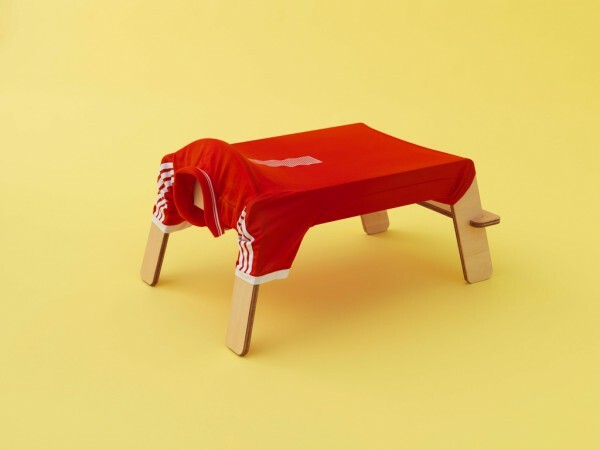 Therefore thinking how we can create a special place for the dog, we designed a piece of furniture that incorporates its owner's clothes. 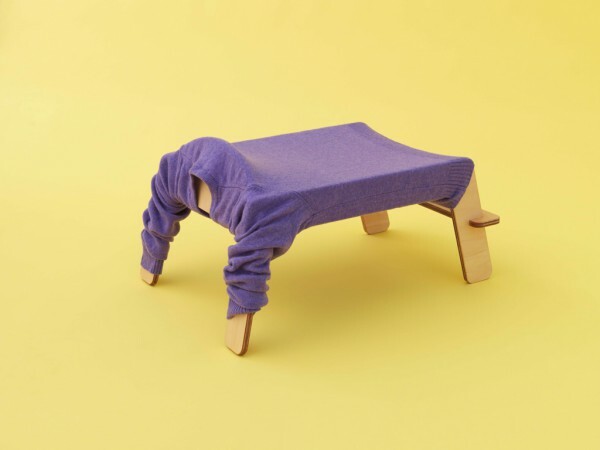 Using the stretch properties of fabric, we covered a wooden frame with the clothes of its owner. 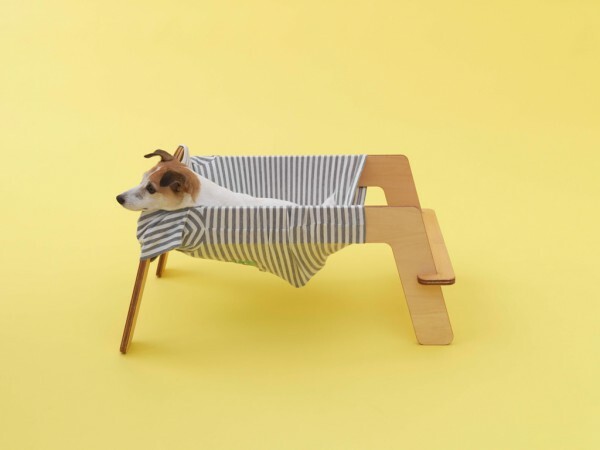 The garment wraps around the dog's body in the same way as a hammock. 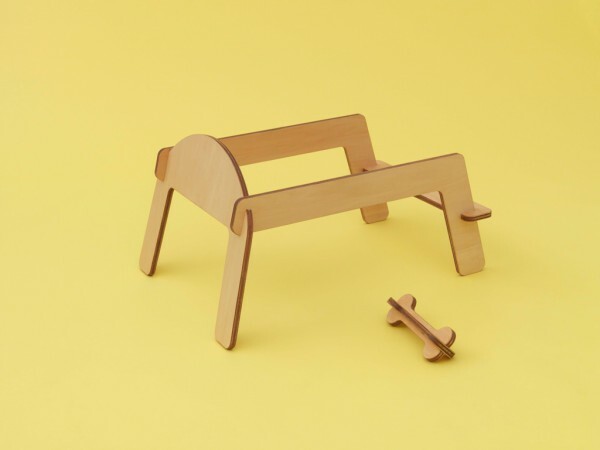 Depending on the user's DIY skills, we came up with 2 types of frames, either from plywood or deck material, of which we have deviced different ways to fix each frame. 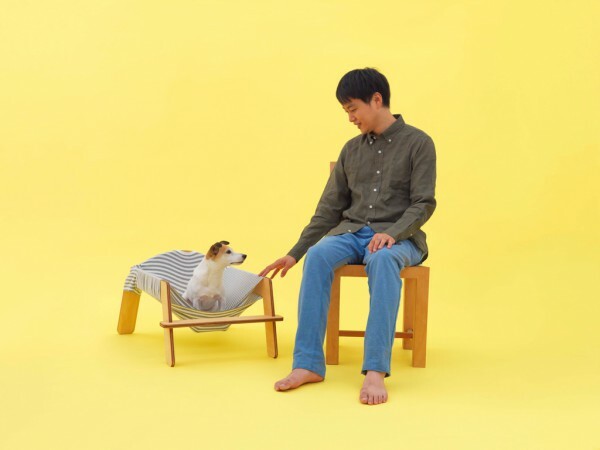 "wanmock" is the perfect height for owners to reach out and touch their dogs easily from sitting on the sofa, bringing them closer to each other. 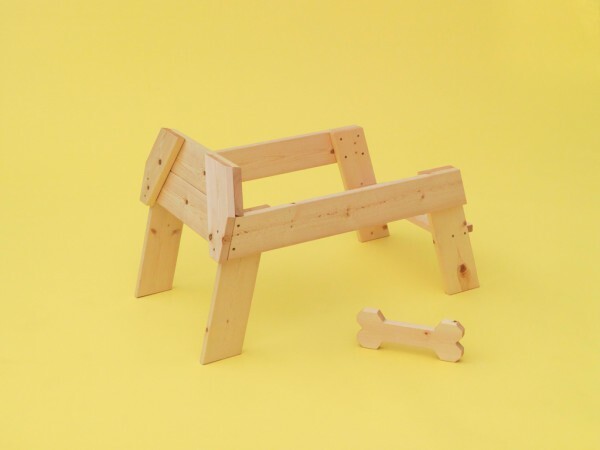 "wanmock", a piece of architecture for the dog which can be assembled easily, makes the relationship between humans and dogs even more enjoyable.